So you’ve built a beautiful new Story, Exploration or Visualization using the Artemis Platform. But now you need to share your hard work with stakeholders, VPs, or C-suite folks who aren’t using Artemis. We’ve got it covered. PowerPoint: Save your Stories into a PowerPoint using the button in the top right of the screen. 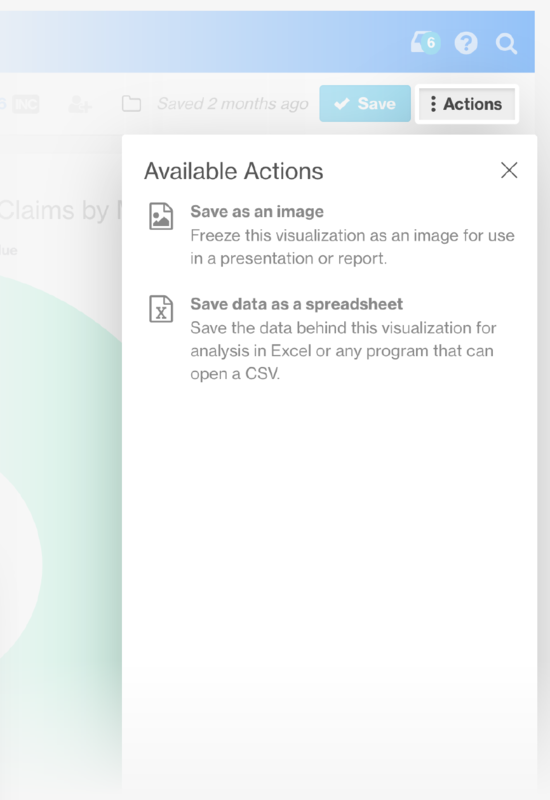 This function exports each visualization card in the Story to its own slide in the presentation, which makes it easy to customize, reorder and present to your team. But if you want to export embedded tables or work with the data, Excel is your go-to option. Excel: For those who want to further manipulate their data, Artemis can export to a CSV file in Excel. From here, you can share with your team or do further calculations. This option is popular with those who are skilled analysts, or those who are just as comfortable in Excel as they are in the Artemis Platform. These three Export options will enable you to share, save and shout your accomplishments from the rooftops. Visualizations are a big part of what makes Artemis different. 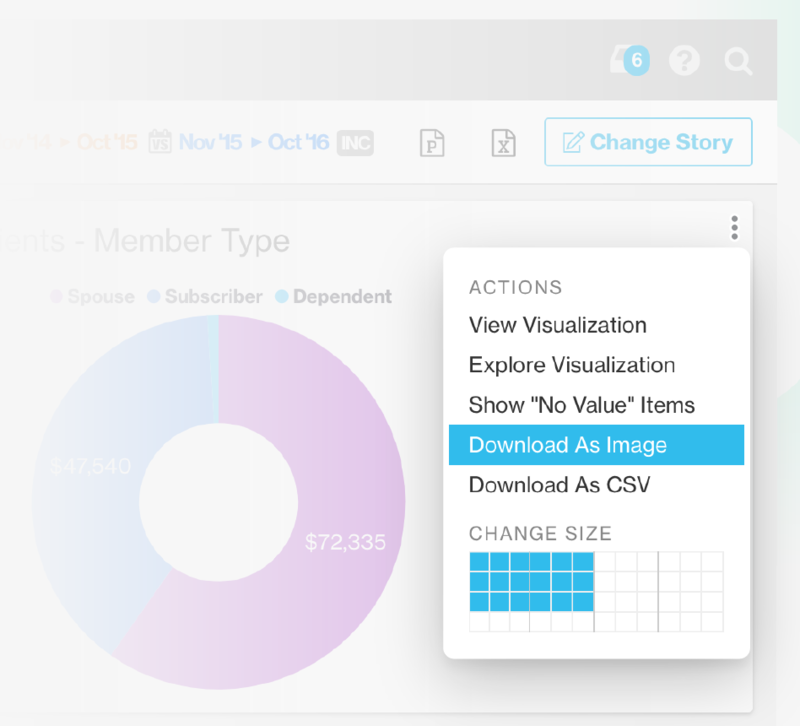 Users can build charts, graphs, tables, and more from the ground up without exporting the data to another tool. 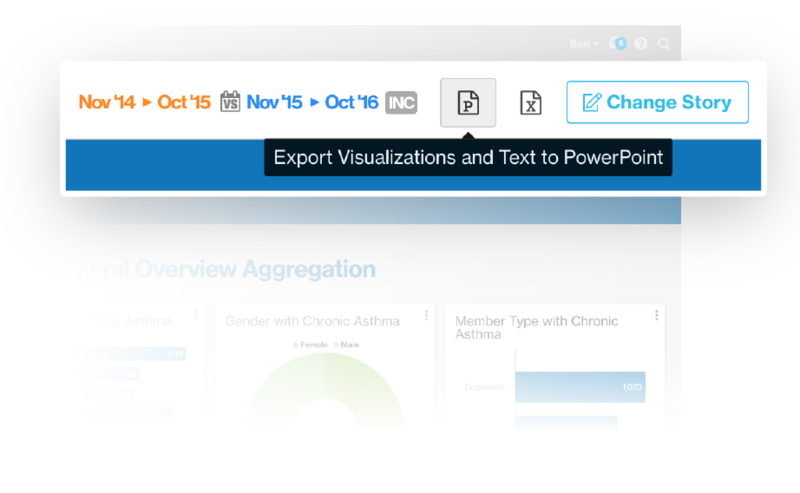 And our visualization tools were designed just for benefits data, so you'll always find the right way to display your findings. 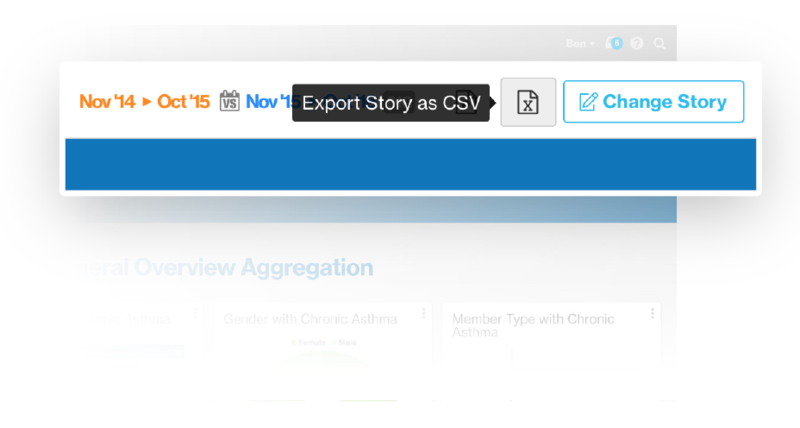 Want to learn more about how Artemis can help you visualize and share your employee benefits data? Get in touch for a customized demo.